WELCOME NOTE How Does it Work? Direct contact details are listed on each development listing allowing buyers to go directly to the developer. 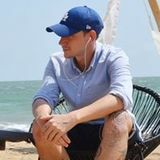 Going directly to the developer, without a sales commission to pay, allows the developer much more flexibility to negotiate a package price with the buyer. For Buyers who would like to view a range of the developments listed but would like the convenience of using Hua Hin Developments Direct to make the viewing appointments, collect you from your hotel and accompany you to view the selected developments together, then please contact us with the names of the developments that you would like to view. You would then have the comfort of using our local knowledge and experience to advise you on the development, the area and to make the viewing and buying process less stressful. Buyers please be aware that Hua Hin Property Direct offer their services at a fixed fee of 3% commission paid for by the developer. All Rights Reserved. Materials may not be reproduced in while or in part without permission from the editor. Villas With Breathtaking Views Imagine how amazing it is if, on your vacation you are surrounded by nature. The beautiful mountains and the fresh breeze blowing from the sea makes Hua Hin the most popular destination in Thailand. Hua Hin Grand Hills resort, luxurious houses with private swimming pool, has many useful facilities such as staff at your service, a park and playground, fitness center, lobby, restaurant and shop, 24hour security guards CCTV and transportation to town. Hummingbird 2 beds +1 Convertible Room Living: 262 m2 approx. Land: 500 m2 approx. Starting from 4.5 MB Mil Pool Villas, a brand new development by Milford Estate in Hua Hin soi 102. Milford Estate is proud to be able to offer modern style pool villas close to Hua Hin town center. The convenient location together with beautiful surroundings creates a unique combination of comfort and privacy. POOL VILLAS IN THE MOST EXCLUSIVE RESORT OF HUA HIN A Community Solar Development Energy Sharing For A Sustainable Future Our clients are international residential buyers that demand the highest standards, privileged tropical lifestyles, privacy and security. We have a history of being a safe and trusted developer with a reputation for high quality construction and finishing, delivering great properties on time and in the best locations. A proven track-record is an all important factor in delivering customer confidence through reliability, security and a very high code of conduct throughout all of our business dealings. Our designs and attention to detail allows us to build and deliver homes that satisfy the discerning owner. Riviera Pearl is a brand new, fully managed resort offering an impressive range of on-site facilities and services. These beautiful town houses offer an open plan living and dining area with a fully-fitted kitchen and breakfast bar. The master bedroom has an ensuite bathroom and boasts a large walk-in wardrobe as well as a poolside balcony. The guest bedroom is also en-suite with a walk-in wardrobe. Riviera Pearl is in an ideal location: 1.5 kms to Hua Hin beach, 2 kms to Banyan Golf Club, 2 kms to Bluport, 900 metres to True Arena, 1 km to Vana Nava Water Park and a mere 800 metres to Phetkasem Rd. Other notable features of Riviera Pearl include swimming pool, kids pool, frangipani garden, wi-fi, open air sky lounge, fitness suite, guest parking, lobby lounge, housekeeping, room service, security, rental management and room service. All of these features and more make for a great lifestyle in a beautiful, tropical location. Exclusive luxury apartments and golf course pool villas on World Famous Golf Course, Black Mountain. CONTACT US Orchid Paradise Homes Moo 7, Nong Hiang, HuaHin Orchid Paradise Homes is located just 5 km from town. Going to town will take you only 15 minutes with one of the local Tuk-Tuks. Driving to Bangkok via the bypass will take you less than two and a half hours, that is of course if you donâ&#x20AC;&#x2122;t drive during Bangkok rush hours. Orchid Paradise has reached itÂ´s third phase and due to popularity and demand the first & second phase is completely sold out and fully booked during the holiday period. Orchid Paradise 3 is located just behind Orchid Paradise 2. In total 58 Villas will be built on this beautiful site, 37 villas sold. Get your piece of Paradise now. Pineview is a product of both years of personal experience living in Thailand, blended with over 35 years of construction expertise, gained from working on some of Asia’s biggest projects. The twelve villas are a product of a years’ worth of planning, consulting, and re-working concepts, to bring you one of the highest quality developments within Hua Hin. 99 Fully furnished. 99 Modern lobby with internet service. 99 Luxury swimming pool and kids pool. 99 Fitness and yoga room enjoy with beautiful view. 99 Mini restaurant near swimming pool. 99 Free cable TV for every unit. 99 Lawn and Garden. 99 Charter bus 3 times a day. Contemporary Luxury Villas Large plot of land from 570 sqm. Price starts from 6,900,000 baht (Villa A total living area 202 sqm). Foreign finance available. Fully furnished. European kitchen. Landscaped garden. An outstanding location only 9 km from the center of Hua Hin. Luxury finishing products. Underground electricity. Leading Real Estate Construction & Development Company In the area of Hua Hin Cha Am and Pranburi In terms of quality, product innovation and service. For foreign and Thai customers who want to own a house. EXPERTISE Hua Hin Quality House offers you more than 30 varieties of house models with conceptual design and utilizes specific building materials. We design your house according to your preference for your comfort and satisfaction. We are open to your requests of any major or minor changes you want for your design (the price will be varied based on our customerâ&#x20AC;&#x2122;s real costs). We are pleased to design your new house according to your style and propose all costs needed for the construction. We can estimate the budget needed in order to fulfill your dream house without any cost. We meet your needs in home and industrial building. We offer a choice of many stylish designs or will build to your exact specifications. WHYDEVELOPMENTS SHOULD JOIN HUA HIN DEVELOPMENTS DIRECT? This is a dedicated website to promote direct sales of developments in the Hua Hin area direct to buyers with no agent commission to pay on sales when a buyer comes direct to the development. 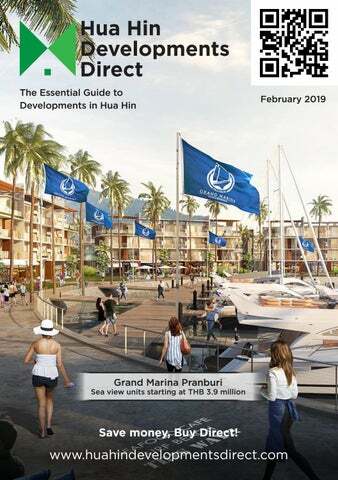 The more developments who sign up to list on Hua Hin Developments Direct, the higher the advertisement budget, which will generate more direct inquires via our website, in house free magazine, social media campaigns, local TV and radio advertising and website banners. All developments will be promoted equally with no bias, as the level of sales commission paid is of no concern, so buyers will be shown a whole range of developments available and the buyer can then decide which development suits their needs the best. SUPPLIERS & SERVICES We are often asked as to which companies the developments use in the design and finishing of their developments, so over the next few pages we have listed some of the premium suppliers. View all the developments listed in this magazine and a range of resale properties for sale www.HuaHinPropertyDirect.com SAVE MONEY! Buy Direct No Sales Commissions! Our films reject up to 79% of solar energy – providing you greater temperature stability and comfort while reducing solar heat gain and bothersome glare. Installing solar control window films in your, condominium, house or villa is a cost effective way to reduce your energy usage for cooling therefore saving you money. SAFE - SECURE - SOUNDPROOF Whether you require replacement windows or doors on an existing building or perhaps you are building a home from scratch. We deal with home owners, builders, architects, property developers, hotels, restaurants, nightclubs and all types of business owners. No job is too big or small, you can expect the same level of professionalism and courtesy no matter who you are or how little you require. We have a range of styles/ colors of doors and window frames, plus various glass options to successfully meet the requirements of most window and door buyers today. We welcome you to engage us in a free of cost consultation with a no obligation quotation. Our absolute guarantee to you, is that like for like we will not be beaten on cost. Thats a 100% promise!! Why not drop us a line now! One of our team will contact you back within 24 hours or the next working business day! We represent our clientâ&#x20AC;&#x2122;s interests in all matters of Criminal & Civil law Thailand. We offer free consultations, No Win No Fee agreements & transparent Due Diligence reports to create mutual trust.